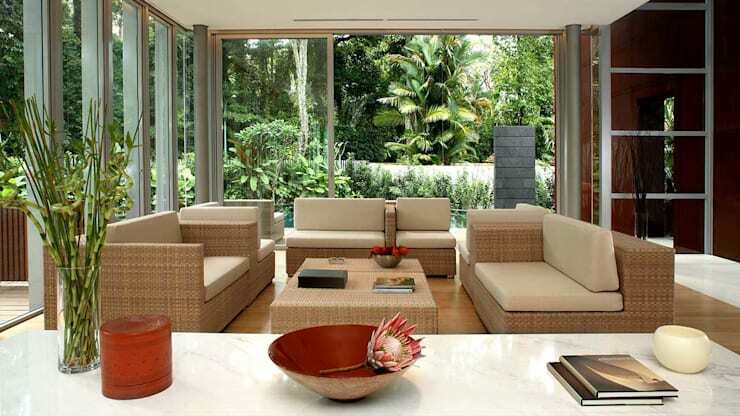 We all know that Singapore has some of the most beautiful homes in the world. With our mix of cultures, influences and design preferences, the results we see are often out of this world. Sure, we'er privy to a simple, cosy little apartment, but we also like to push the boundaries of architecture and craft some incredibly unique structures. 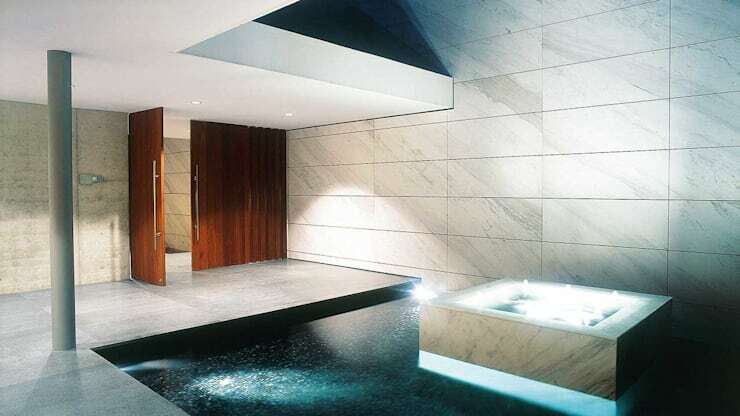 This home, brought to us by HB Design Pte Ltd. is a shining example of Singapore design, boasting not only architectural class but a sense of warmth and relaxation. 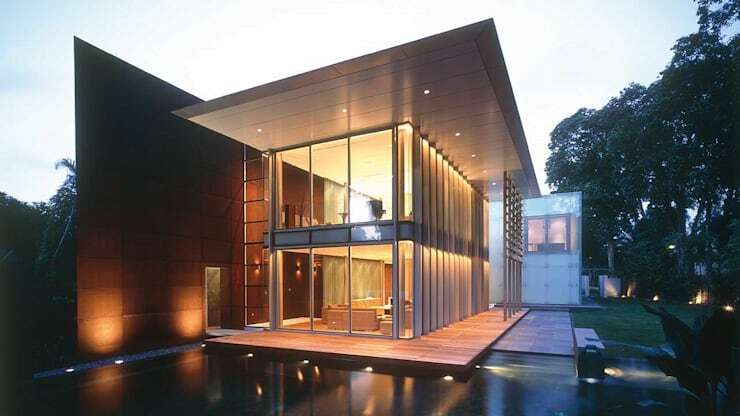 With a quasi-moat surrounding the structure, this water creates a sense of relaxation and tranquility, while the green-house, all-windows look brings in a chic element. As we enter the home, the feeling of warmth relaxation is once again present. With plenty of wood and water from all angles, the energy in this home is flowing in all the right ways. 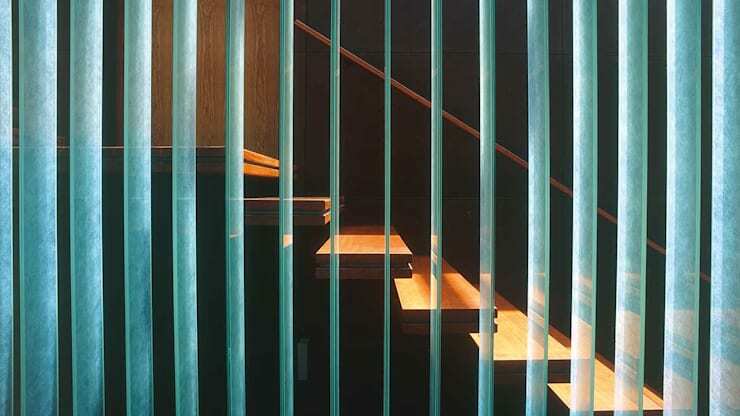 Featuring vertical and horizontal lines, the staircase is an impressive structure of wood and glass. This mix is one of the things we like the most about the home, as the inclusion of various materials reflects the Singapore way of life. You'd be forgiven for thinking you'd escaped to a resort when enjoying this pool or spa—it's just so chic. By using straw sofas, the suggestion of resort living is returned to the overall theme. While a little warmer overall, and complemented beautifully by the lush, outdoor space, the ambience is still very much present. This dining room meets office look space has a broader sense of practicality than the other rooms, but is certainly equally appealing. 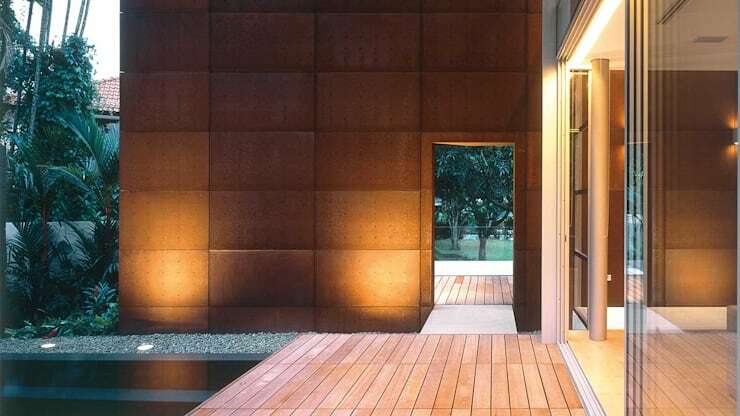 If you enjoyed looking at this project, you might also like to see: A Singapore dream house. What do you think of this home? Do you like the style? Let us know!